From 8 to 12 October we attended the 31st Anuga Fair which took place in Cologne (Germany). Nearly 300,000 square meters of exhibition area, more than 150,000 visitors and 6,500 exhibitors from 100 countries made this event a fair and engaging for the marketing and promotion of our products internationally. 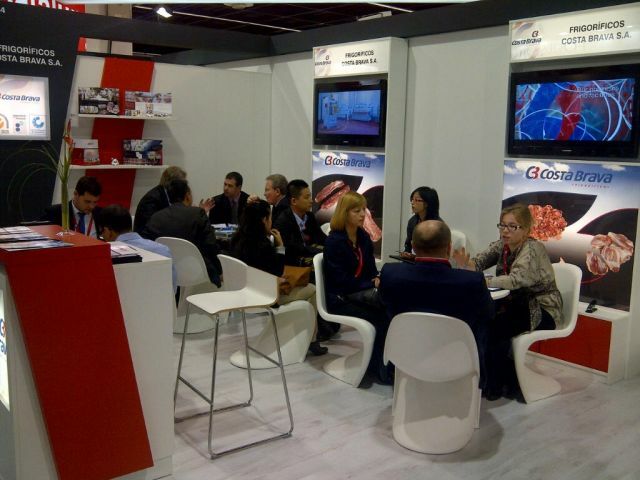 As a company belonging to the meat industry, consider Germany a strategic market in the world in terms of pork, and half of the show, we were able to establish trade ties and important new trends in consumption of European, Asian and American. You can visit the official website of the show here.